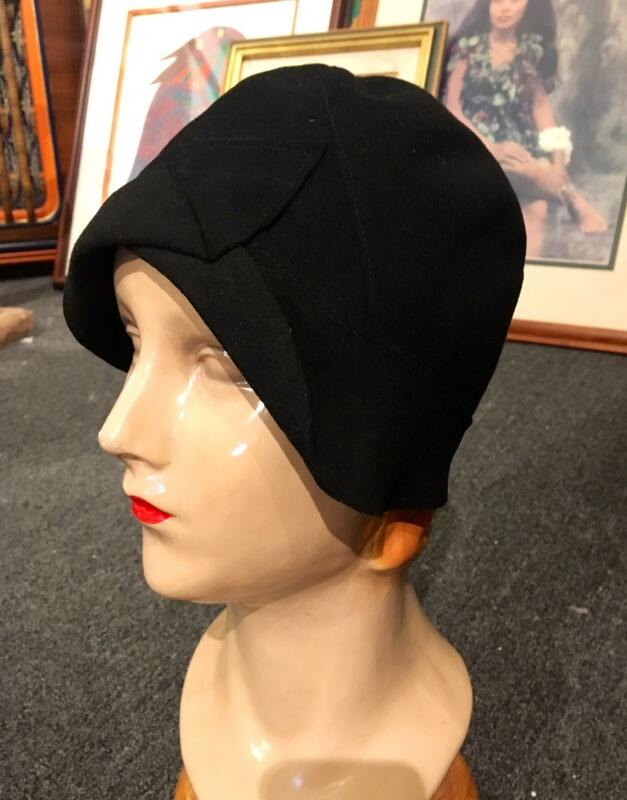 Lovely black felt 20s dead stock cloche by Marion Hats of New York! 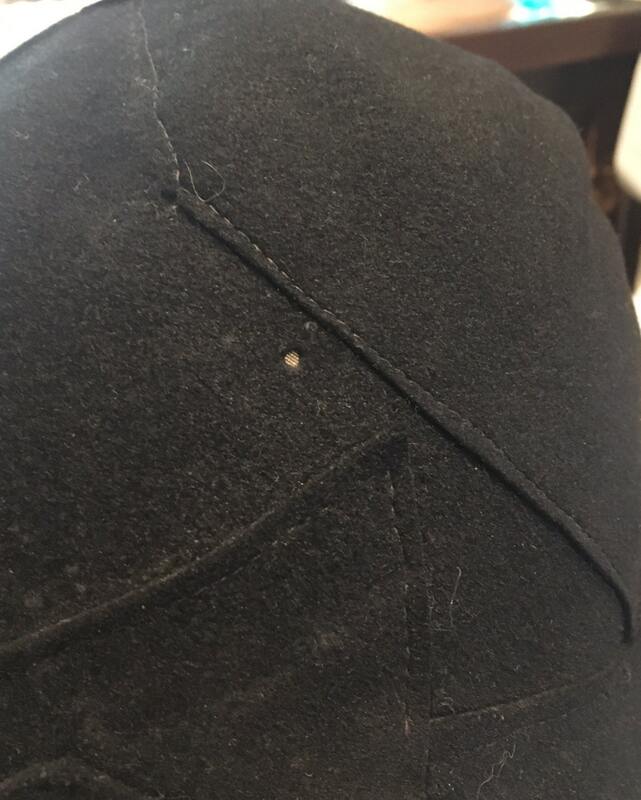 The hat is in pretty amazing condition for its age! There is a patch on the back about the size of a tangerine with a faint bit of moth damage. It is very slight and on the very surface. The hat has a clever crisscross seam on the top and the front has a small sewn-on flap. On the last picture you see a tiny perfectly forms hole. I believe that is meant for a decoration. Perhaps there was a flower decal or something else. Other than that, there are no tears, rips, stains or other damage. I am rating this as being in EXCELLENT minus condition. 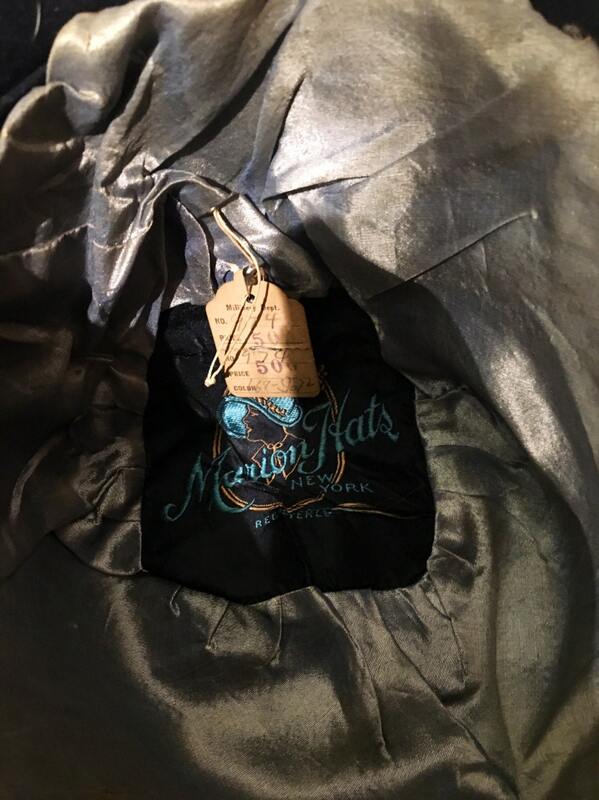 The inside of the hat is lined in a silvery-grey silky-satin fabric. 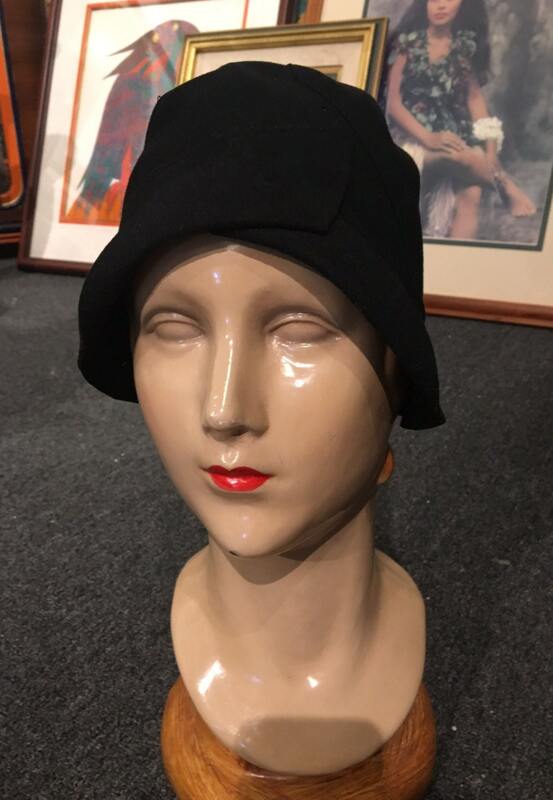 The label says "Marion Hats of New York - Registered." 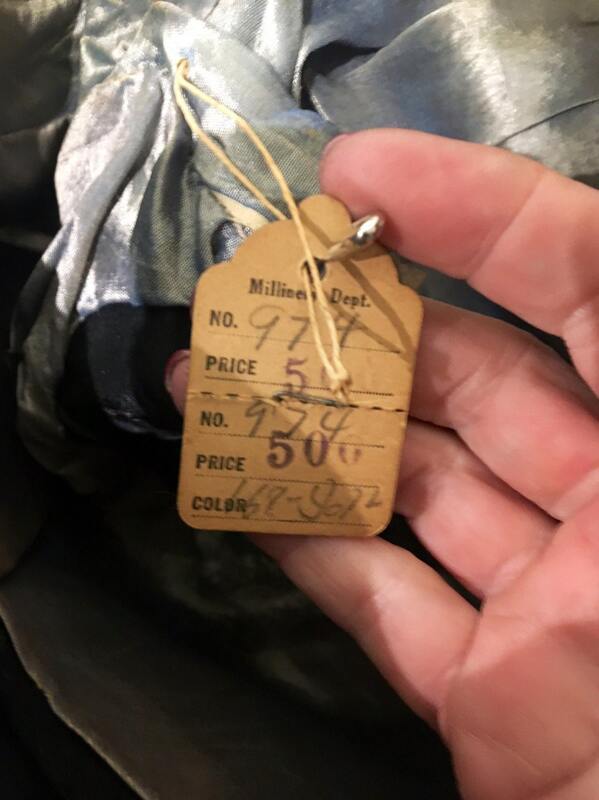 The hat is either 20.5" or a very tight 21."